IP finance: Reasonable royalty or bubbles through a straw? c) a variable annual fee over sales. " There are not many cases that deal with the assessment of reasonable royalties in trade mark cases. Very often the assessment itself is too costly an exercise to undertake in relation to the value of the return. Brand owners also tend to accept the injunction and move on or otherwise trade "damages" during settlement negotiations for more favourable co-existence arrangements. In some jurisdictions, there is also the option of an account of profits. Consequently, this Spanish case is welcomed. 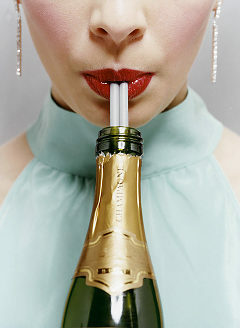 Right: Light headed - assessing royalties or bubbles through a straw? Turning to the three "different parameters" and conceding that I may lose something in translation, that this may be an interim decision and also that the different parameters could be specific to this industry (and hence not capable of general application), the "entrance fee" is more familiar to me as a "signature fee" which is often described as payment for the privilege of the licence (by more arrogant licensors) but is often motivated as a payment for the benefit of joining as a licensee (eg marketing support, licensee networks etc). Fixed annual fees sound more like a guaranteed minimum royalty and in some countries, like South Africa, are likely to be a stumbling block for getting exchange control approval for the remission of royalties and may render the agreement enforceable (see note here). The annual fee could also be linked to minimum sales targets. The variable annual fee over sales is likely to be similar to a typical royalty rate over sales or FOB purchases. Whilst the principle of this "parameter" is easy to understand there is often much debate and significant importance over how the "sales" element is calculated. For example, does it include promotional give-aways, is it net of taxes, how does it deal with intra licensee supply sales etc. The actual rate may also create something of difficulty especially in this instance where the case deals with a 3d shape mark which may have little empirical support from benchmarking forums. It is also not clear whether the rate is exclusive and non exclusive but perhaps that is for a later inquiry affecting the parties.